There are two things I’m really into lately. One of those things, in case you haven’t guessed, is beer. I kinda like beer, so much so that I decided to start up a blog with my buddies so we had even more of an excuse to talk about beer and discuss exactly what we’re drinking at any given time. So yeah, I like beer. The other thing I’m into lately is fresh, from the source products. 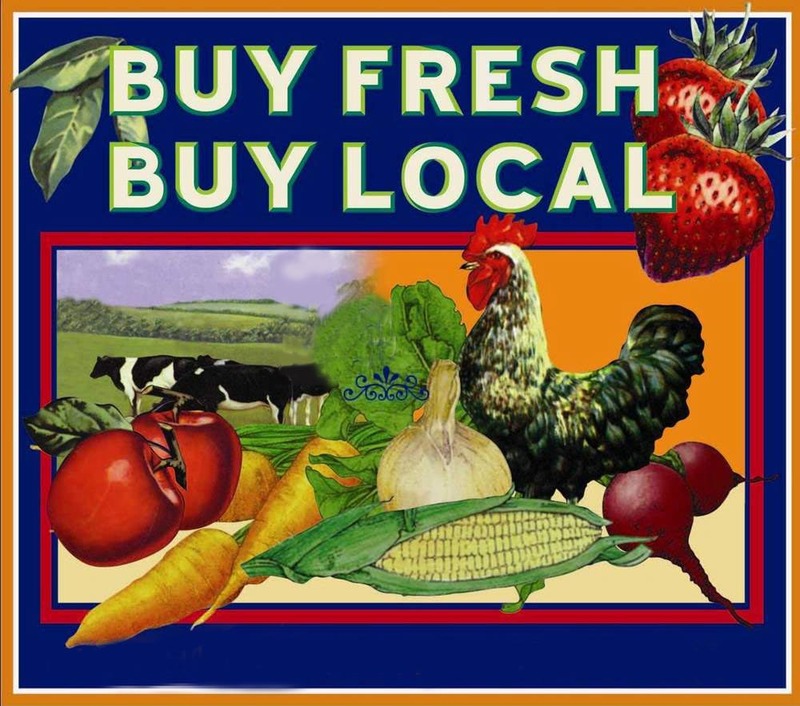 I friggin’ love farmers markets, love local companies, I love buying anything that’s just baked, just pressed, or just made into something that goes into my belly. If there’s a product sitting on a shelf that I know is the one of the best, yet a product is sitting next to it that I know isn’t quite as good but the guy down the street just made or grew it, I know which one I’m choosing. To that end, it’s no surprise that I’m extremely fond of brewpubs. If you love beer, love fresh, and love local, there’s no better place to tip a few back and feel a little better about the world around you. Okay, that last part is a lie. You probably won’t feel better about the world around you while you’re wasting away in a brewpub, but at least you’ll know that the beer you’re drinking was brewed mere feet from where you’re sitting. That’s not what gets me going about brewpubs though. I live on the North Shore of Massachusetts so fresh beer, beer from probably a dozen breweries within 50 miles, is at hand at almost any time. I feel that if I’m drinking from breweries like Berkshire, Ipswich, Watchusett, Offshore, and even Harpoon, I’m supporting the local guys and getting a product that didn’t travel very far to meet its end. What really gets me pumped about visiting brewpubs, more than the fact that I can see where the beer was produced while I’m drinking it, is that brewpubs keep me dreaming about opening a brewery one day. When I’m drinking something like Dogfish Head, I think to myself that if I only had a million dollars, a crack marketing team, and a national distribution strategy, I too could make a brewery work. When I’m drinking at a brewpub though I think, hey, if I could just get a couple of tanks and perfect a few homebrew recipes maybe I could make a beer that gets distributed no farther than 25 feet from where I brewed it. Still a pipe-dream, but probably more attainable than some others. There’s something romantic about a business venture that involves making a product and having people come to you to consume on premise. I suppose I just described every restaurant in the world, but in my mind it’s cool. I try to visit brewpubs wherever I travel, but sometimes I forget that I’ve got a couple of fine establishments right in my backyard. This past week I went back to one of my favorites and one that never disappoints with variety and creativity – Cambridge Brewing Company. Cambridge Brewing Company (CBC) is of course located in Cambridge, MA and serves the areas just north of MIT in Kendall Square. The crowd is usually fairly mixed with hipsters, college students, much older grad students, locals, and suburbanites like me that wanted to go into Boston for the night but preferred the cheap parking (Free meters after 6) and easy access to a quick exit. Aside from award winning beers, CBC also makes use of a great local menu with many organic and natural products to satisfy any appetite. We’re here for the beer though, and CBC will keep you on your toes no matter how many times you return. Most of my favorite breweries these days produce a few staple beers that I call “Keep the lights on” brews and then produce almost a separate line of more quality offerings, generally leaning toward the 22oz format. I like that formula and notice quickly from CBC’s menu that they work the same way. They have the ubiquitous “Amber” that every brewpub in the history of the world has had on the menu and finish out the regulars with some ordinary styles that don’t need mention (Quick note, the Amber is quite good, just poking fun). What I like about CBC is that they don’t stop at the ordinary. Lacto Stout? Check. Wild yeast? Check. Absurdly high alcohol Barleywine? Check and mate. This is not your ordinary brewpub and they stretch the limits with everything from barrel aging, using herbs and rare hop strains, and recreating old world styles that seem to be all the rage of the bigger micros these days. While I’ve had probably 15 different beers from Cambridge Brewing Company in the past, I figure I’ll post 2 notes on the most recent offerings. They’d be cool beers from any commercial brewery, but seeing as they came from a brewpub I think it makes them a bit more special. Aces High – Belgian Amber Ale – Don’t make the same mistake I did when I saw Brooklyn’s Sorachi Ace a few months back. Sorachi, isn’t that the Asian hot sauce that I see on fast food Chinese tables? Uh, no, that would be Sriracha. Sorachi Ace is a newer hop strain created by Sapporo of Japan that lends a very intense lemon flavor to the brew. You either love Socachi or hate it from what I’ve read, but I think that’s largely the result of how the brewer uses it. I looked past the regular Aces High and went right for the cask conditioned version that was also dry hopped with more Sorachi Ace hops. Grassy nose with slight citrus notes coming up from the creamy head. Very floral. From the looks and smell, I’d probably label this an IPA, but who am I to judge. Taste gives off some lemon I suppose but more of a citrus, West Coast hop spectrum than anything else. Bitter finish that turns out to be pretty refreshing for a change. Extremely dry, almost puckering mouthfeel. I don’t get to try too many dry hopped cask conditional ales and this baby didn’t disappoint. Drinkability is high, almost to the point of sessionability (Wow, those are two stupid words). I’ll give it a 3 hop rating as it was a little rough around the edges, but I wouldn’t hesitate to order it again. CaCow! Chocolate Milk Stout – Again, I think it’s pretty cool that I can get a fresh lacto stout right from the source. Another great thing about CBC is that they use proper glassware whenever possible. I hate when brewpubs try to force you into a “Small” or “Large” glass that accommodates everything they sell. My CaCow! came out in a goblet with a beautiful tan head holding a dark, dark black orb beneath. Nose hid most of the flavor, not much coming at me even after swirling the glass a bit. Once I took a sip though the flavors came through perfectly. Had a dry Irish Stout bitterness on the tongue that was immediately mixed with chocolate milk and dark chocolate. Bitterness up front followed by a sweet finish. Silky smooth in both taste and mouthfeel, this beer works better as an after dinner drink than anything else. I couldn’t put down more than one of these but that shouldn’t take away from a solid 3.5 hop rating. One of the best milk stouts I’ve ever come across. Next time you’re in and around Boston, take a quick hop on the Red Line and seek out Cambridge Brewing Company. You’ll be glad you did. Posted in Ale Factories, Alehouses.Tagged Brewpub, Cambridge Brewing Company, Massachusetts. Thanks Doc. We’ll try it. Outstanding, Doc. Enough to make me want to swim the Charles! I’ll skip the cholera, though, and just mooch a ride from you next time you’re Cambridge-bound!